1. The promoter is: TDJ Australia Pty Ltd (ABN. 52 219 635 803) whose registered office is at 78 Mills road Braeside, Victoria, 3195, Australia. 2. The competition is open to residents of the Australia except employees of TDJ Australia Pty Ltd and their close relatives and anyone otherwise connected with the organisation or judging of the competition. 5. 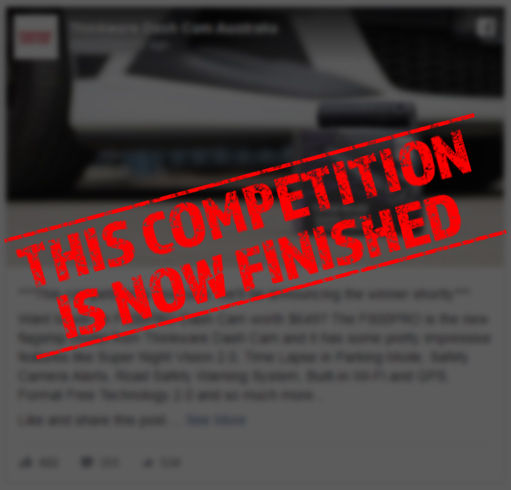 Entry for the competition are accepted through Facebook only. 6. Multiple entries from the same person will be accepted. 7. Closing date for entry will be Sunday 12th November 2017 at 11:59pm AEST/DST. After this date the no further entries to the competition will be permitted. Entry for the competition is accepted through Facebook only. Entrant must comment on the original competition post saying what they think the best feature is and why. The winner will be chosen by an impartial, unbiased representative, employee and/or agent of TDJ Australia Pty Ltd.
10. The promoter reserves the right to cancel or amend the competition and these terms and conditions without notice in the event of a catastrophe, war, civil or military disturbance, act of “God” or any actual or anticipated breach of any applicable law or regulation or any other event outside of the promoter’s control. Any changes to the competition will be notified to entrants as soon as possible by the promoter. 14. The winner will be notified by email and/or private message / tag on Facebook within 28 days of the competition closing date. If the winner cannot be contacted or does not claim the prize within 14 days of notification, we reserve the right to withdraw the prize from the winner and pick a replacement winner. 15. The promoter will notify the winner when the prize is dispatched via registered mail using any available courier/postal delivery agent. The promoter accepts no responsibility for incorrect delivery or damage to prize caused during the delivery. 18. The winner agrees to the use of his/her name and image in any publicity material, as well as their entry. Any personal data relating to the winner or any other entrants will be used solely in accordance with current Australian data protection legislation and will not be disclosed to a third party without the entrant’s prior consent. 19. The winner may be required to provide TDJ Australia with clear, legible photographs of the supplied prize installed in the vehicle mentioned in the winning entry. This photograph may be used for marketing material.